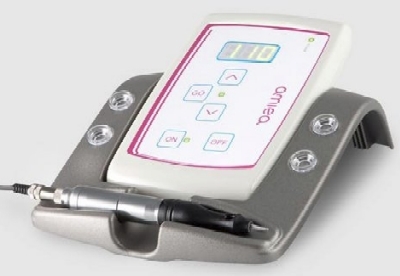 The Amiea Linelle One is the first step towards digital Micropigmentation systems and is far superior to a standard Rotary Pen and substantially more hygienic. Dedicated to make your work easier and your creations even more beautiful, Amiea have designed the Amiea Linelle One to deliver the most reliable, high precision results. 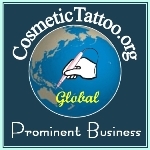 The same manufacturer also makes the nouveau contour machines, Amiea is the manufacturers private label and consequently their range offers the cutting edge in Cosmetic Tattooing products. This machine is an economical alternative to the Linelle Two and the top of the line Linelle Supreme and is targeted at those who cannot yet afford a full digital system or who want a more portable alternative. The ergonomically designed cosmetic pen with its easily adjustable needle depth feels like a natural extension of your hand and lets you work steadily and precisely. 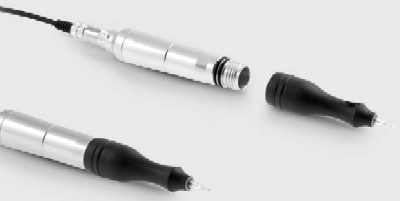 It is compatible with the full range of ingenious Creatip Twist cartridges hygienically sealed to avoid spills and backflows and available in numerous shapes and needle configurations for every application. NB. Creatip Twists are a designed to fit the Linelle One & Two and the Creatips are designed to fit the Linelle Supreme they are not interchangeable. The beauty of the Linelle One is that later on you can buy a Linelle 2 base station and switch to full digital Cosmetic Tattooing! Light and compact, the Amiea Linelle One operates with minimal noise and vibration, takes up little space, and is easily transported. The creatip twist needle modules are incredible, no more mucking around with needles, tips, casings and transmissions shafts, creatip modules replace all those fiddly components with one single use sterile needle chamber that is completely separated from the hand piece to prevent flow back contamination. For safety when the machine is turned off the creatip twist needle automatically retracts thus helping to prevent needle stick injuries. 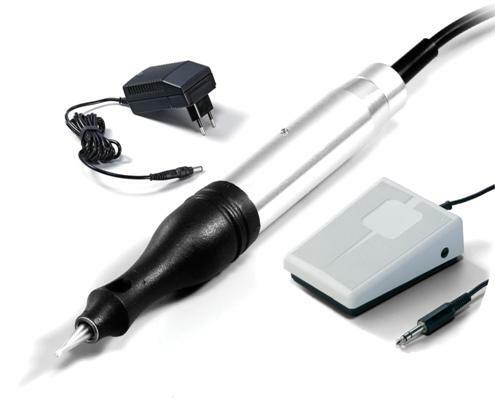 • lightweight ergonomic pen – only 12 cm x 1.5 cm and 35 g! • Additional 1 year warranty - 2 years peace of mind (Just $49).